This post September 1930, Surrey registered Wolseley Hornet Saloon PL 2347 was used by the Chief Photographer of the Iliffe publishing group, Mr. Donald Osmond, throughout the early thirties and into the second half of that decade. It appears in many feature articles in the Autocar magazine and constantly crops up in the background of many other photographs held in the LAT Photographic Archive. 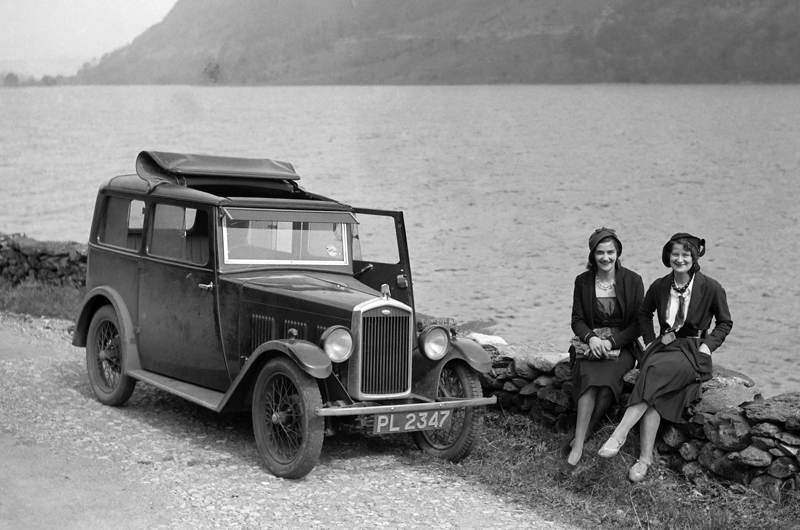 This photo has a caption scratched into the plate’s emulsion that simply reads Haweswater. The Network’s archive holds over 50 different images of this car taken between 1931 and 1937.